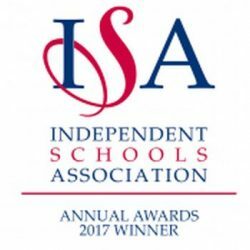 The Dharma Primary School is a fully accredited member of the Independent Schools Association (ISA) and subject to inspection by the Independent Schools Inspectorate (ISI), which is supervised by Ofsted. Our school became a member of the ISA in 2012 and was fully inspected by the ISI in April 2015. (Previously the school was subject to inspection by Ofsted). We underwent a Regulatory Compliance Inspection in March 2018 as part of the new two-part framework for inspection. This is where the inspectors are reporting on standards to include the health and safety of the children and buildings, safeguarding, the way in which we deal with complaints, recruit staff and the overall management of the school. The report is straightforward and indicates whether the standards have or have not been met. It does not comment on anything else beyond this. ISA schools are ranked among the best in the world and inspection findings are presented in reliable and objective reports. Both parents and pupils contribute to the process through the submission of confidential questionnaires. Some standards were not met during the inspection of March 2018 and therefore the ISI inspectors returned in September 2018 for a progress monitoring visit. This was to ensure that the Action Plan proposed by the school had been completed. ISI Progress Monitoring Visit – 26 September 2018 report below. I am happy to report that the school is now fully compliant and all regulatory standards continue to be met. Please see the ISI Progress Monitoring Visit – 26 September 2018 report below. We are pleased that overall pupils’ development was cited as ‘good’ and that teaching standards in our Early Years department were praised specifically. Find out more and view the ISI Report. This review was commissioned by the trustees to provide feedback on progress achieved half-way through our new Headteacher’s first year, and to make an assessment of progress against the ISI 2015 areas of development. It was carried out by external reviewer, David Thomson, a former ISI team inspector.